Prior to the recent spill, Dutton was the Home Affairs Minister as well as the Minister for Immigration and Border Protection. This left Dutton responsible for an extremely large portfolio which included immigration, citizenship, and Australia’s security and intelligence agencies. While Dutton will keep control of the Australian Border Force, the Morrison government has taken a new approach by appointing David Coleman as the Minister for Immigration, Citizenship and Multicultural Affairs. “David has a keen understanding of the many different backgrounds and the many different issues that need to be managed to ensure that Australians who have come from so many backgrounds get that fair go I spoke of,” (abc) Morrison said when he announced his new team. This seems like an enormous step in the right direction for the immigration sector as Coleman celebrates diversity and understands the pain of exclusion. Australia has made its “national foundations stronger by allowing more people to build upon them,” (InsideStory) Coleman noted in his inaugural speech to parliament. When anticipating what’s to come it is important to remember that Scott Morrison, having been the treasurer, has previously made comment on the valuable contribution that immigration mikes to the budget. Therefore, there is some hope that the new direction for the immigration portfolio may include revisiting the planning level of 190,000 permanent migrants for the 2019 year. In the 2018 migration year the number of grants was below the planning level at 162,000. Furthermore, immigration finally has its own dedicated Minister. It is hopeful that the separation of immigration from the Home Affairs Minister may help the long processing times visa applicants are currently seeing. Read more about the current long processing times and low approvals here. 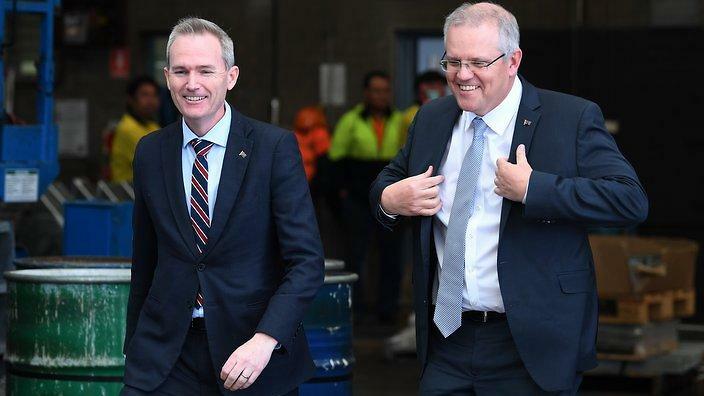 “We need a strong focus on our immigration program so it brings the skills and the harmony and the unity that we want from the program.” (InsideStory) – Scott Morrison on removing immigration from direct responsibility of the home affairs portfolio. Much is still to be revealed in terms of the direction that the new minister for immigration, my take, there are some significant changes which can already be observed. The first is that the word multiculturalism has made a welcome return to the portfolio. The term multiculturalism has been very useful in promoting tolerance of different cultures and has been embraced by much of the Australian community. It is more welcoming and softer then the combination of home affairs and border protection which have been the main terms used in association with immigration recently. The second terminology change is that the word immigration has re-emerged as a usable term. Up until recently we were in the awkward position where it was Home Affairs which was in charge of immigration and the word immigration was not anywhere to be found. This lead to mass confusion amongst clients and was generally unnerving giving the feeling that the term immigration is too politically difficult to actually use. According to an article from 29 August in The Australian, a proposed 5-year reginal visa currently in review. The new visa aims to encourage migrants to settle in regional Australia. In fact, the benchmark of the new visa is the requirement that migrants will locate in reginal or capital cities other than Melbourne or Sydney. In the past financial year out of the 112,000 skilled migrants who arrived, 87 per cent had settled permanently in Sydney or Melbourne. “If the population was distributed more evenly, there would not be the congestion pressures that we have today in Melbourne and Sydney,” (TheAustralian) Mr Tudge told a forum in Melbourne. This new reginal visa seems to be a healthy alternative to former Prime Minister Tony Abbott’s call for migration intake to be cut to 80,000 a year until infrastructure caught up. It is believed the new visa class would apply to certain categories of new arrivals under the skilled and family migration program but in some cases could also apply to refugees. Prime Minister Scott Morrison re-shuffles cabinet, and removes immigration and citizenship from the Home Affairs portfolio. Morrison hopes this will allow immigration to get the focus the program needs. Morrisons new direction may help processing times and could include the revisiting of the planning level of 190,000 permanent migrants for the 2019 year. Also, it is hopeful that the inclusion of the words immigration and multiculturalism in the ministerial title will be a sign that there is a more friendly and less militaristic and punitive approach to immigration. Lastly, there is a new reginal visa that has been proposed and is currently being reviewed. The new visa would allow new arrivals under the skilled and family migration program to come to Australia for 5 years on the basis they do not locate in Melbourne or Sydney. We not own the rights to the picture above and no copyright infringement is intended.